Bright Heart Education is a tuition agency and education consultancy focused on students who would benefit from a unique and individual approach to their education. Prior to contacting us, Bright Heart didn’t have much of an online presence or an identity that people were aware of. In order to raise awareness of their services to students, the Bright Heart team needed a strong brand and website that reflected their personal, capable and expert approach to bespoke education. Essentially a blank slate with a lot of potential! 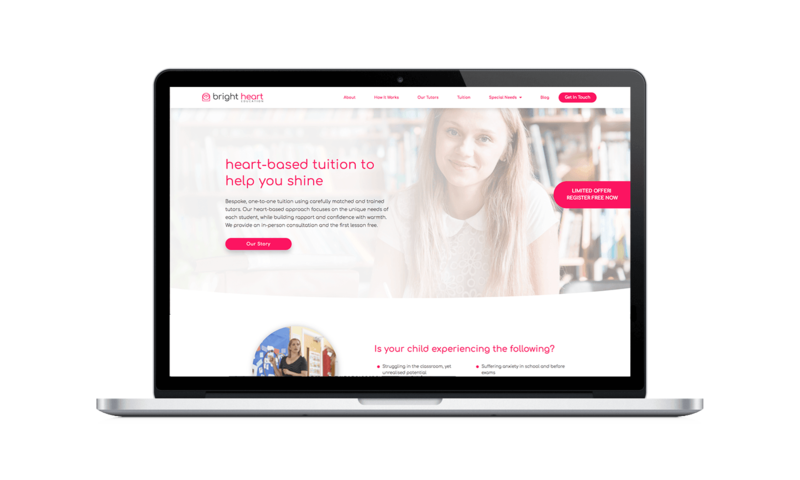 Bright Heart’s key focus was to build brand awareness and increase the number of enquiries from special educational needs students requiring bespoke tuition and their parents. To achieve this, we carried out extensive competitor research to understand how Bright Heart would position themselves, which informed the fresh and vibrant design of the bright heart brand colours, logo concept and identity. The vibrant colours were chosen to differentiate Bright Heart from the more basic and bland identities of their competitors. The contemporary logo design provides a recognisable icon that can be used on any branded materials, the owl representing knowledge and heart representing care. Once the Bright Heart identity was established, we began the web building process. The site needed to be clear and concise, providing information about the service, Tutors and tuition available in an engaging way. With a clear direction, the team were able to translate this into the modern, clean and simple site they have today. 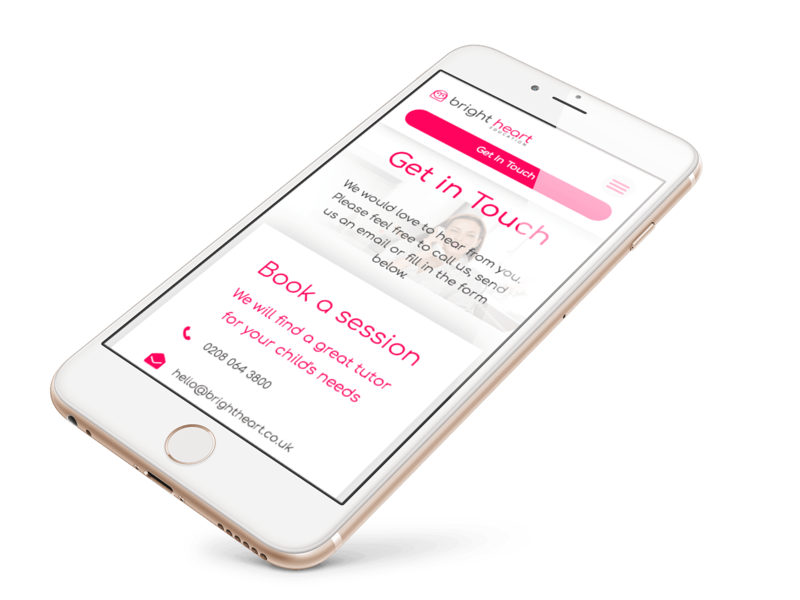 With a refreshed brand identity and a brand new, fully optimised website, Bright Heart are well on their way to growing the business and we look forward to assisting them with their ongoing inbound marketing. We need a new website designed and built. We need help generating more leads and enquiries. We need help converting more leads into sales. We’re not sure how to grow our business.